Chelsea’s Belgian duo Thibaut Courtois and Eden Hazard have both plotted a move away from the club in the recent weeks, but they’re not the only key players who have a big decision to make regarding their future this summer. 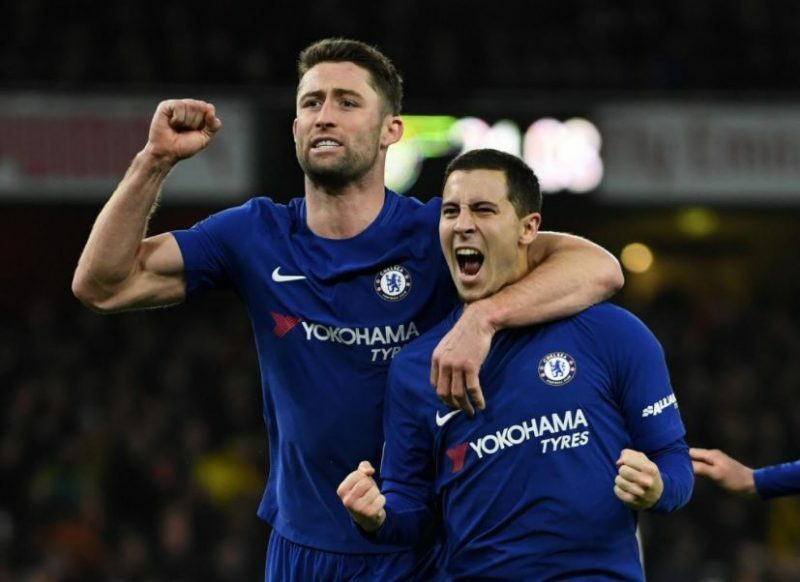 Evening Standard report that Gary Cahill is reportedly planning to quit the club after six years at Stamford Bridge amid Chelsea’s plans of signing a new centre-back. Italian international Daniele Rugani, who played under new Blues manager Maurizio Sarri’s Empoli side before moving to Juventus, is reportedly closing in on a move to Chelsea. The 23-year-old will add plenty of competition to the central defender’s position, especially since Sarri prefers a four-man defensive line over sacked Blues boss Antonio Conte’s tactic of fielding three centre-backs with two wing-backs alongside them. Cahill was handed just 23 starts by Conte last season and the Chelsea captain has already spoken to the media about his difficulties of sitting on the bench. It’s been tough. It has been hard having to sit out massive games, watching us fall by the wayside and not being able to have a huge impact on that. People can argue that as captain you can still have an impact in the dressing room, but it’s difficult when you’re not playing in those big games.